A bad grip can negatively affect the performance and appearance of your firearm. If your hands don’t feel secure when firing, then its likely time to add some new replacement grips. The perfect choice when buying replacement grips is to find a material and fit that is comfortable to the shooter. A better grip will reduce recoil when firing shots. 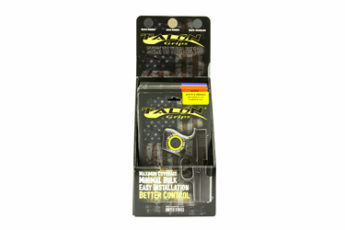 Grips make your firearm more comfortable in your hand, thus making the weapon more secure. Slip on rubber grips are easy to install and give more comfort with increased slip resistance. A good choice of grip offers better angles to hold the weapon and reduces the torque on your wrist while shooting. Premium inventory of replacement firearm grips are available though our online marketplace at reasonable prices. Give your firearm better ergonomics and more control when aiming and less fatigue on your hands. Weapon Depot brings you an exclusive range of firearm grips from top manufacturers with the best designs such as 1911 pistol grips. Improve the style and performance of your weapons with replaceable pistol grips.